The Year: … 1923 The Song: … Who’s Sorry Now? The composers: … Ted Snyder, Bert Kalmer and Harry Ruby. This song was originally recorded by Isham Jones & his Orchestra in 1923. I bet these talented men never envisioned their project sung in so many different styles as it was on the Tried & True Tour. 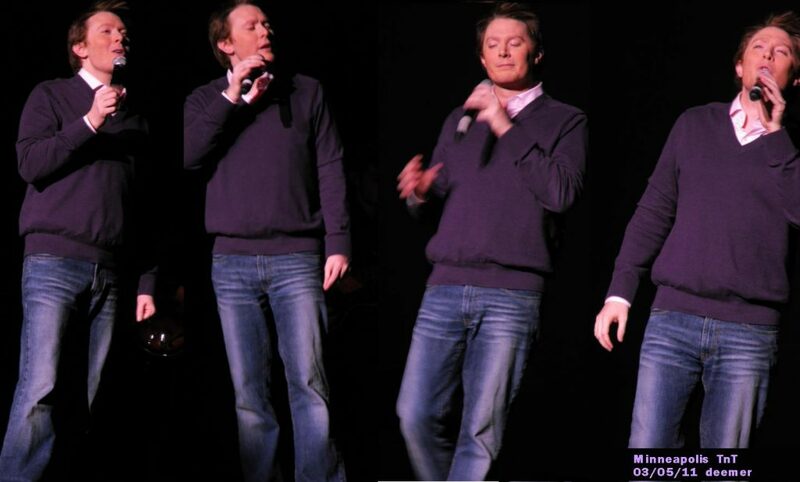 Clay Aiken is a genius for thinking of this funny section of his concert. Who’s Sorry Now? was featured in the film, A Night in Casablanca. This 1946 movie starred The Marx Brothers. The song has been recorded many times. The most famous recording was by Connie Francis in 1958. 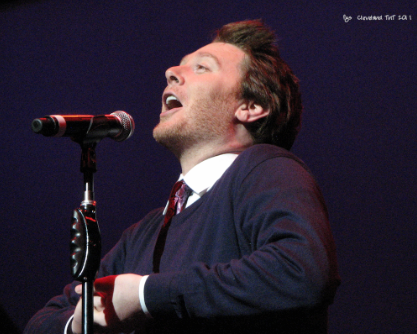 Other artists who have recorded the song include Ella Fitzgerald, Marie Osmond, Harry Connick, Jr. and, of course, Clay Aiken. The following video shows some different styles of Who’s Sorry Now. A big thank you to Clay and all the band members and a huge Hug and Thank you to the fans who shared their pictures and the video with us! Did you see Clay and Quiana sing this song on tour? Tags : A Night in Casablanca, Bert Kalmer, Clay Aiken, Ella Fitzgerald, Harry Connick, Harry Ruby, Marie Osmond, Quiana Parler, Ted Snyder, The Marx Brothers, Tried & True Tour, Who's Sorry Now? Error: Error validating access token: Session has expired on Tuesday, 21-Aug-18 16:13:01 PDT. The current time is Wednesday, 24-Apr-19 02:11:54 PDT.